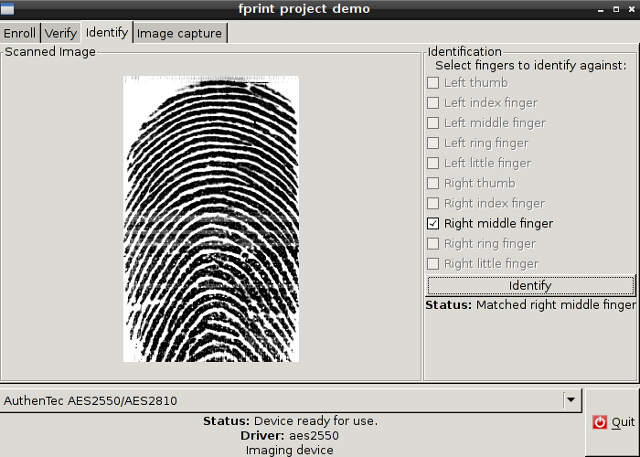 Before installing a PAM module to use it as a password, fprint_demo should proof that it works reliable. The libfprint source code comes with example programs that might not become installed with libfprint but could be compiled separately. Those sample programs capture fingerprint and convert them to images and do simple verification tasks.